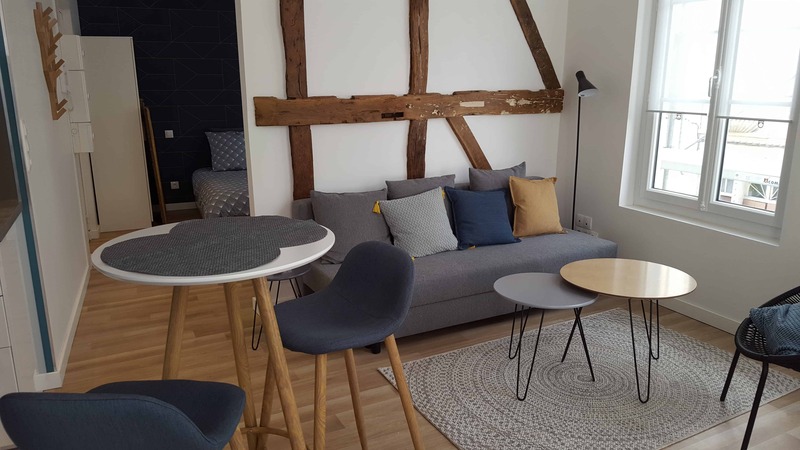 Rouen is a Normandy city famous for its monuments but also for its antiques district and art galleries and antique dealers in Rouen center. The capital of Normandy is the third biggest town in France in terms of the quality and number of its antiques dealers. Rue Damiette, or “antiques dealer street” where timber framed houses, with or without corbelling, art galleries and antique dealers in Rouen mix, is the heart of this neighbourhood. Located between the Church of Saint-Ouen de Rouen and the Church of Saint-Maclou de Rouen, this street was immortalised by Pissarro (Impressionist painter who had Paul Gauguin and Paul Cézanne as students) in his painting “Rue Damiette in Rouen” in 1884. 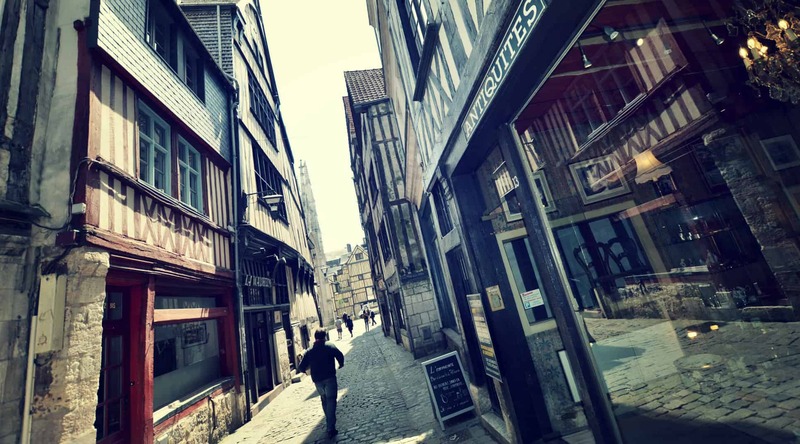 The neighbourhood of antique dealers in Rouen has made the city famous with its many establishments. It is difficult to resist the temptation to browse, pushed by the secrets of all these objects filled with history. As they are, or restored by masters of art, these objects provide great pleasure to amateur or professional collectors. The presence of a museum devoted to antiques on Rue Beauvoisine, in Rouen is not a coincidence (departmental Museum of Antiques). A large number of art galleries brighten up Rouen city centre. The village of La Bouille is also home to a number of galleries. The birthplace of Impressionism, Rouen and its Museum of Fine Arts symbolise the artistic face of the town. Marked by the imprint of artists such as Claude Monet, Camille Pissarro or indeed Alfred Sisley, Rouen and the banks of the Seine are places that still inspire many contemporary artists with their architecture and their lights. Many exhibitions are held throughout the year in different art galleries in the town. Soothed with an authentic atmosphere, get involved in a dynamic neighbourhood where history is still tangible.